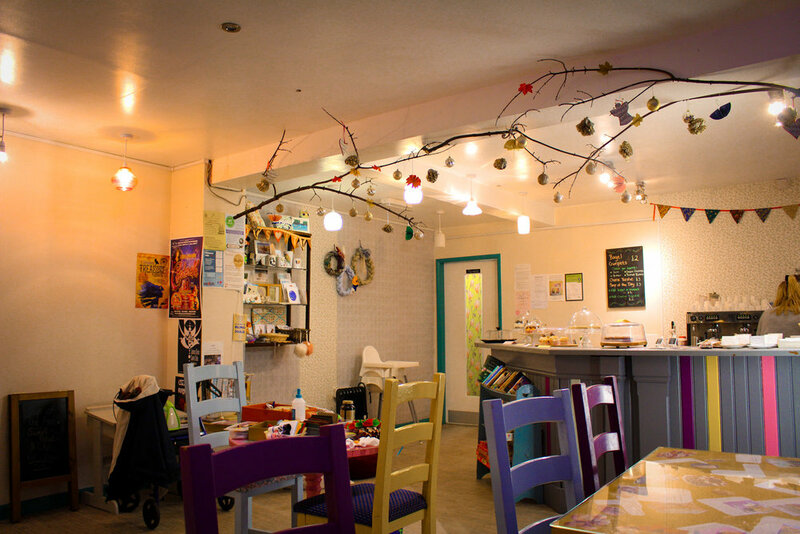 Lydia's is an adorable cafe on Newland Avenue, about 5 minutes walk from my home. After being there a couple of times for a slice of delicious cake and a milkshake, I was over the moon to find out that she had invited the Hull Bloggers to enjoy an evening of crafting and cake. It was lovely to have a catch up with the girls, although recently I have seen Jenny and Hannah more times than I have my own mother - but that's fine because they are great company! After a quick whip around with our cameras, we settled down in the corner to sample some of the sweet treats that Lydia had popped out. I ordered a pot of tea, which came in an adorable glass pot with matching china cup set. My favourite treat has to be her oreo and peanut butter cheesecake - it was divine. Definitely what you need after a busy week of work! Loaded with 2 Oreos with a peanut-y base this cake is the one. Another strange but wonderful combination was the lime shortbread. At first, admittedly I didn't jump at the chance to try some, but it was a refreshing take on a very popular comforting snack. I'm also a sucker for a chocolate brownie, so was glad to see a traditional snack on the table. I'm also a sucker for a chocolate brownie, so was glad to see a more traditional dessert on the table. Then the craft ladies arrived; they volunteer on the last Tuesday of every month to teach people crochet and papercraft. For just £5 you can join in, have a cup of tea and slice of cake, and they bring all the materials you need too. It really is humbling to see that these groups exist. I've always fancied being part of one, perhaps now is my chance! 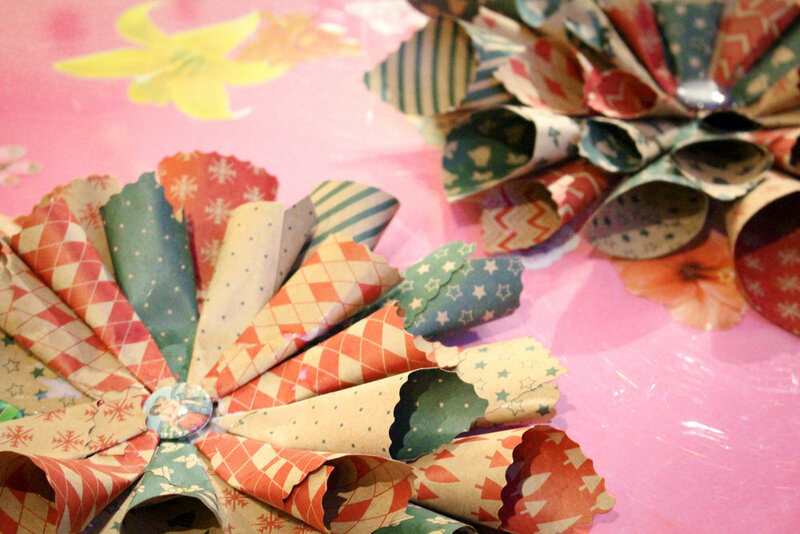 The Hull Bloggers all opted for the papercraft, where we made adorable Christmas ornaments with some tubes of paper and PVA glue. It was so therapeutic, and kind of like being back at Primary School as we were using the little glue sticks and scrapping over paperclips! The lady was really patient with us all and didn't mind us asking questions or handing us a baby wipe when we got our fingers all sticky. Mine didn't turn out as well as I would have liked, however, I'm pretty impressed with what we all achieved and learnt in just a few hours. Jenny really got into it and took some materials home with her to make paper snowmen. If you're from Hull, consider popping along to one of Lydia's craft evenings. She also hosts an array of other events such as film nights, knitting club, a baby & me group and even a languages cafe.